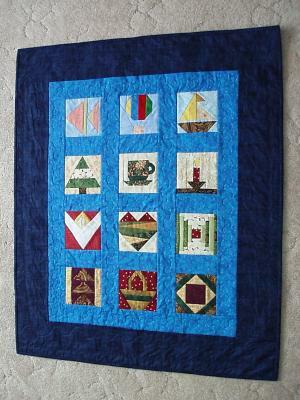 This is a paper pieced mini quilt that I completed February 2008. I started quilting in September 2007 and took a paper pieced class in January. I really enjoy paper piecing and am anxious to make another quilt but bigger this time.